The Wave is a new bookcase from Italian furniture manufacturer Urbinati, it was designed by Leonardo Emiliozzi. 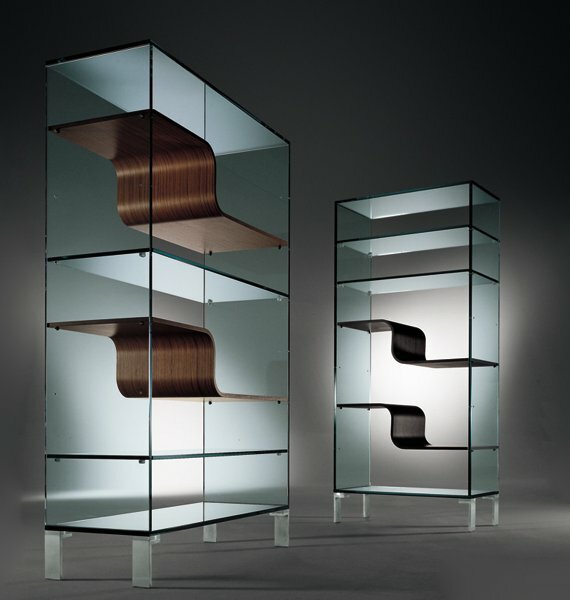 The cabinet is made in crystal with aluminium feet, it’s available in two heights and widths. The shelves can be positioned to customer’s taste, and are available in crystal, and straight or curved plywood. Visit the Urbinati website – here.